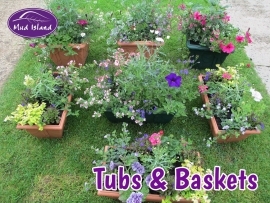 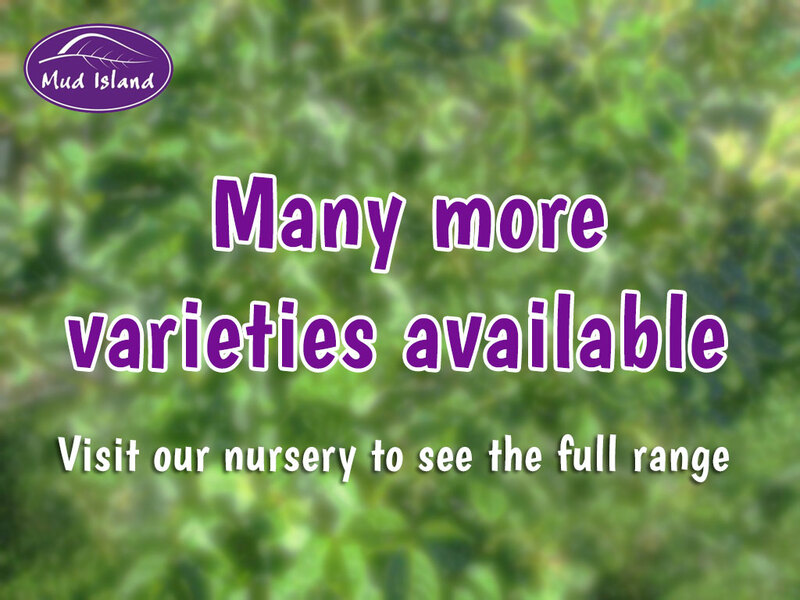 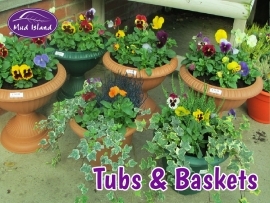 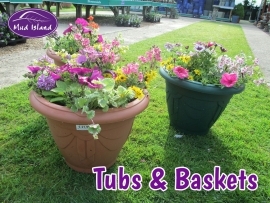 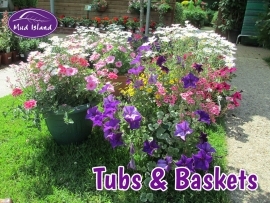 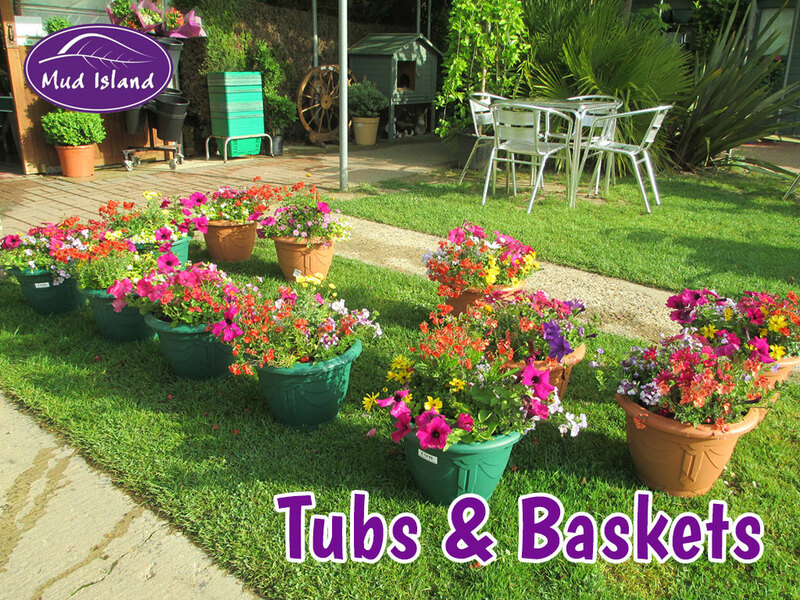 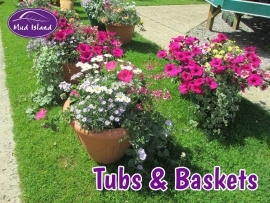 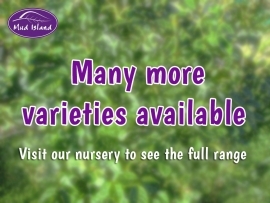 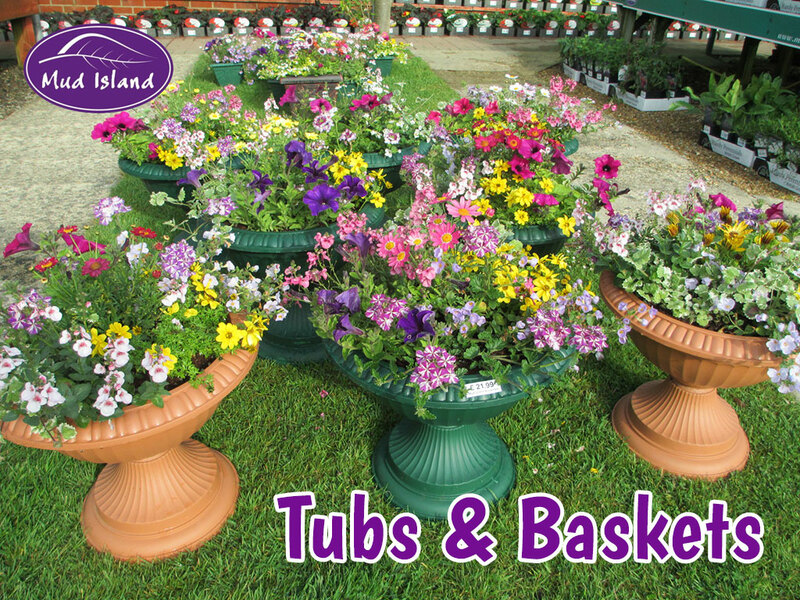 At Mud Island we plant up a variety of containers and baskets with mixed summer bedding, for glorious displays throughout the summer months. 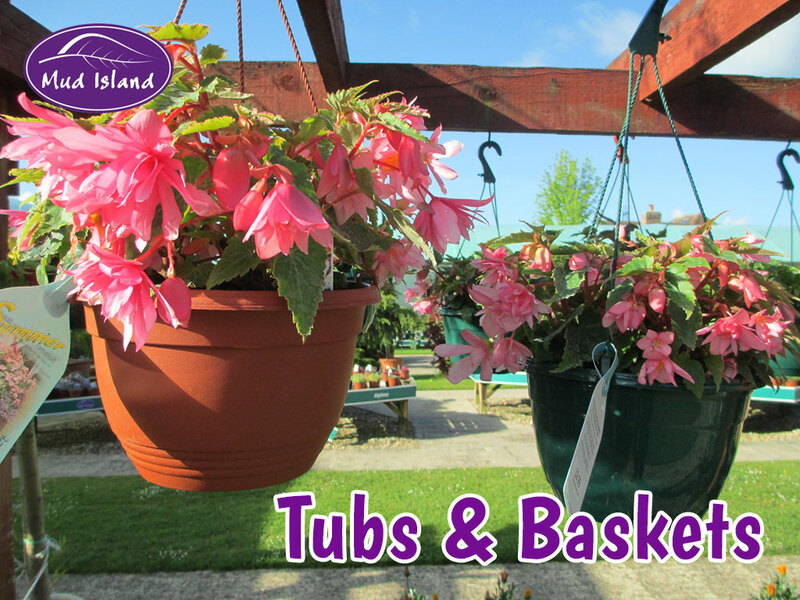 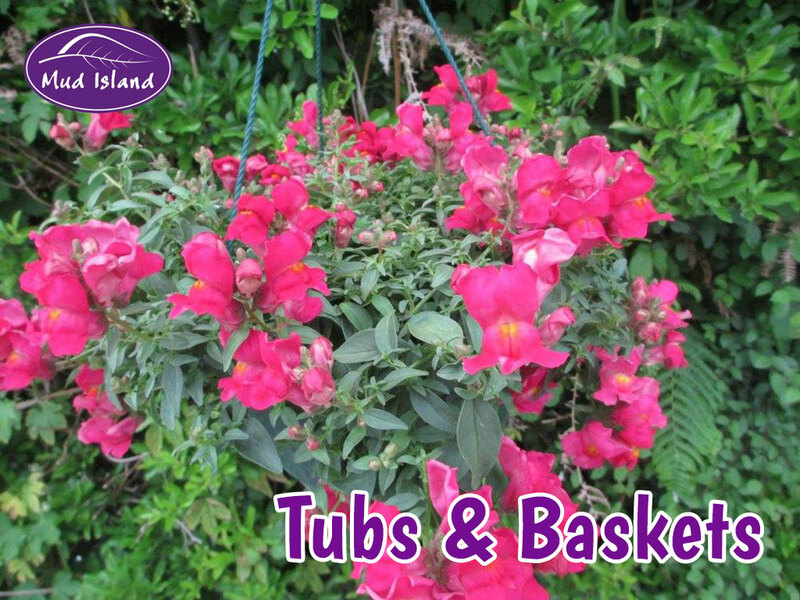 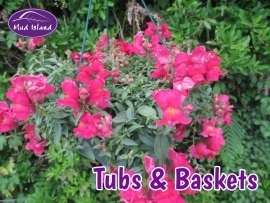 During the spring/summer season we also have a beautiful selection of hanging baskets of fuchsias, begonias, petunias and more. 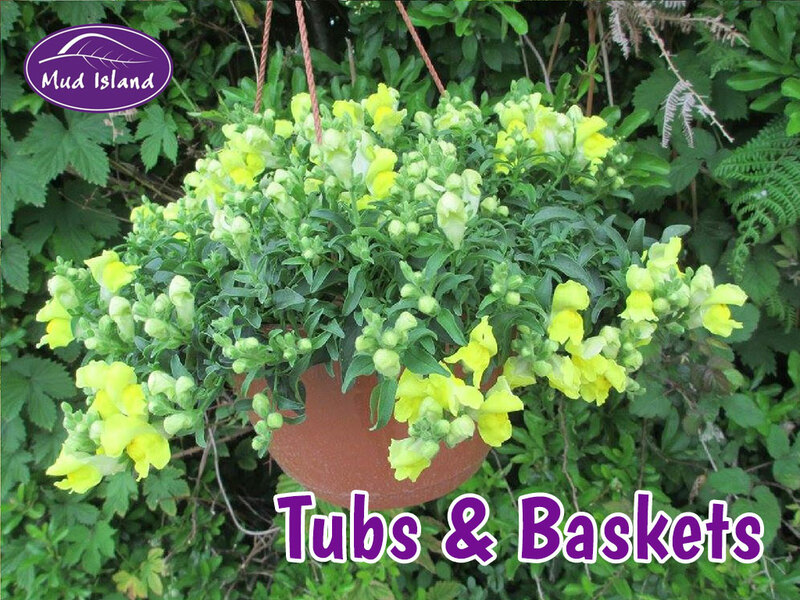 They can be used for lighting up a patio, deck, balcony or even a dull spot in a border. Our winter tubs are planted up with a selection of foliage and flowers that will brighten up your outdoor space, giving colour and interest over the cold season.